Prof. Paolo Prato invited Enrico Salvatori to his Italian Media and Popular Culture class to talk about Queer Cultures in Italy. Hailing from Sacramento, California, Lydia Smith is a graduating senior at John Cabot University. Majoring in Communications, with a minor in Creative Writing, she has been very active in campus life. She is the Vice President of Theatre Society, Managing Editor of 'The Matthew' newspaper, and Secretary of The Fashion Club. On February 28, the Institute for Entrepreneurship hosted the workshop “Trasmetti il tuo valore" with Young Women’s Network Roma. On Thursday November 17, Prof. Pulino's Strategic Management class was joined by Filippo Chiricozzi, COO & founder of Moovenda. 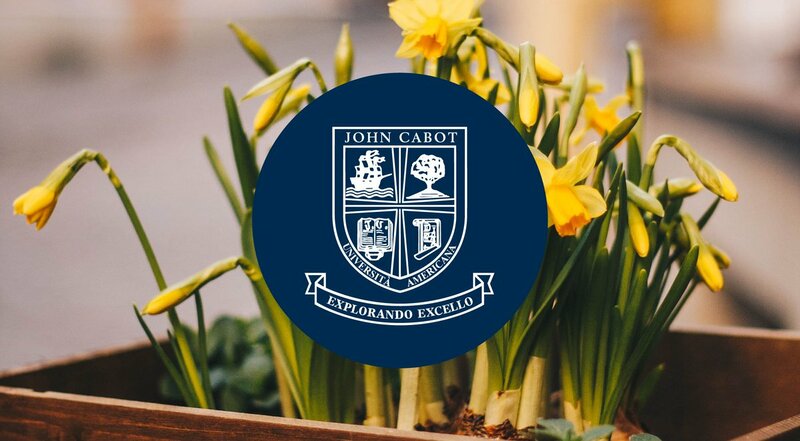 A weekend of events to celebrate the 10th Anniversary of the Investiture of Dr. Franco Pavoncello as President of John Cabot University. Alessandra Gargiulo, class of 2013, graduated with a B.A. in International Affairs, and holds a M.A. in International Development from SciencesPo, Paris. She co-founded and is president of the Uyolo Fund, a non-profit startup venture. On September 16, over 100 undergraduates and alumni had the chance to meet 40 representatives from 21 companies – Randstand, Rocco Forte Hotels and Marden Entertainment to name a few – offering internships and job positions.